Groundbreaking Decision: Will This Be The First State To Legalise Recreational Marijuana Through Legislation? A bill passed by the state Senate last month will soon be debated by the House of Representatives. The state of Vermont is on the verge of potentially making recreational cannabis legal statewide, a move that would make the state the first to do so through legislation instead of through voter initiatives. A bill passed by the state Senate last month will soon be debated by the House of Representatives. The measure enables those over 21 years of age to purchase and smoke cannabis by 2018. The proposal also imposes a 25-percent tax on the product’s sales, the revenue of which would be put towards funding for drug education programs and drug law enforcement initiatives. The proposal would also ban the sale of edibles, as well as the home-growth of cannabis by its users. The state already allows for the use of medical cannabis. Despite the bill’s promise, however, the House faces a deadline to pass it by the end of May, at which time the current legislative session will end. It remains uncertain whether the bill will garner enough House support to win passage. The bill’s year of hearings in the state Senate saw a number of prominent supporters step forward to voice approval for the measure. Among them is the state’s Democratic governor, Peter Shumlin. “Vermont can take a smarter approach that regulates marijuana in a thoughtful way, and this bill provides a framework for us to do that,” Shumlin said of the Senate bill. The bill also appears to appears to have substantial support among everyday Vermonters, a state that trends heavily Democratic in most elections: A recent poll commissioned by Vermont Public Radio found 55 percent of the state’s residents to support cannabis legalization, versus 32 percent who were opposed. “It sends an important message that legislatures don’t have to be afraid of this, it’s not a third rail anymore,” said software developer Jeff Laughlin, from the town of Barre. Despite the proposal’s widespread support, however, there remains stiff opposition, both inside and outside the House chamber. House Minority Leader Don Turner (R) has vocally opposed the bill’s passage, saying that the legalization of cannabis would be harmful to the state. Turner is not the only one in the state squeamish about the prospect of legalization: a recent editorial by an editor at the Burlington Free Press called upon the state to delay its legalization push “until we know more and are better prepared to handles the consequences.” The measure has also been met with opposition from lobbying groups, and Vermont’s border states have expressed anxiety as to how their law enforcement agencies will handle legalization. 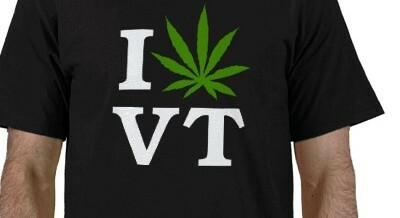 Do you live in Vermont and wish to gain access to recreational cannabis? Share your thoughts with us on social media or in the comments section below.